I’m not sure what your life looks like right now. You may be in a hospital or at home caring for a child with long- term illness or disease. Perhaps you are walking through the darkness of losing a child or a loved one. Many of us are physically and emotionally weary from the constant stream of needs we must schedule our life around. During the month of February, we’ve spent some time reflecting on love. 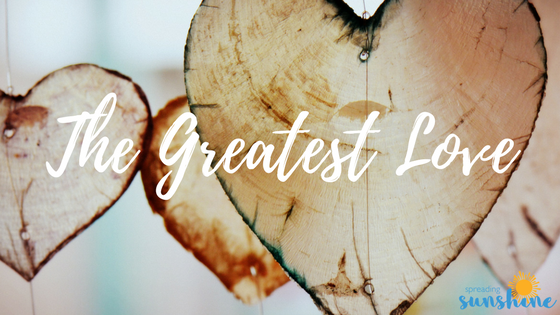 In this last devotion for the month, we want to focus on the greatest love. Jesus, who is God in the flesh, is also love in the flesh. In John 10:11, 15, Jesus explains that He is going to lay down His life for his people. Jesus is speaking about a sacrificial love, a love that costs Him something. Jesus laying down his life did not just mean that He would die a sacrificial death, but it also meant that He would live a sacrificial life. In Philippians 2:3-4, Paul encourages the Philippian believers to have the same attitude as Jesus: Do nothing from selfish ambition or conceit, but in humility count others more significant than yourselves. Let each of you look not only to his own interests, but also to the interests of others. As we face the challenges of each day, this kind of love is the kind that gets us through the difficulties of life with intact relationships on the other side. For those of you whose lives are characterized by a sacrificial love, an exhausting love, and a marvelous display of the greatest love, may God bless you, as you lay down your life for those you love. Would you like prayer? Spreading Sunshine has a prayer team who would consider it an honor to pray for you. You are loved and you are not alone. Please share your prayer request here and our team will be praying. 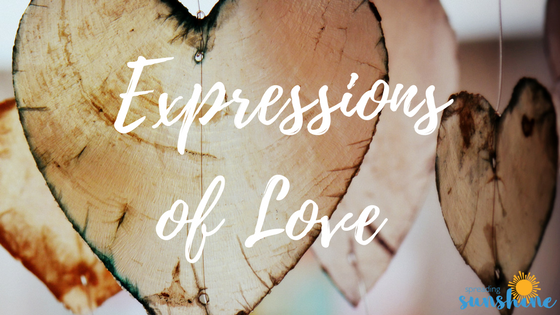 How do you tend to express love? I don’t know about you, but I find the love expressed in Psalm 139 to be very comforting and yet very convicting. How often does the business of life, or my preoccupation with myself, keep me from taking a genuine interest in others? Do I tend to be present not just in body, but in giving someone my full attention? Am I thoughtful of others and willing to invest in their lives in a genuine way? While I’m not sure how you answered those questions, I know I can grow in these areas. Psalm 139 gives us a beautiful, multidimensional picture of God’s love toward His children. As David writes, he is obviously moved by the reality that the God who inhabits eternity notices and loves him. If you read the Psalm, you may be surprised to see that the word “love” never shows up. However, David is writing about a God who loves him and loves us deeply. God’s love for us is manifest in that He is interested in us (vs 1); He knows us (vs 1); He understands us (vs 2); He is acquainted with our circumstances (vs 3); He is involved with us (vs 5); He is present with us (7); and He is thoughtful of us (vs 17-18). It’s very common to feel alone, misunderstood and forgotten in our personal struggles and trials. In a very sweet and personal way, God reminds us that we are not. Our hope at Spreading Sunshine, is that we can grow in embodying these expressions of love toward families and children who are suffering with disabilities and disease. Thank you for desiring to grow with us and share love with these families. Would you like to help support families? Spreading Sunshine began when I was in the hospital with my son, David (Sunshine), and saw the needs of families who spent days, weeks and even sometimes months in the hospital with their child. You can read more of our story here. I’m in awe to see how the Sunshine Community has grown. I’m thankful for the leadership of our board and staff, as well as the commitment of our team of volunteers who pour out their hearts to show love to families. 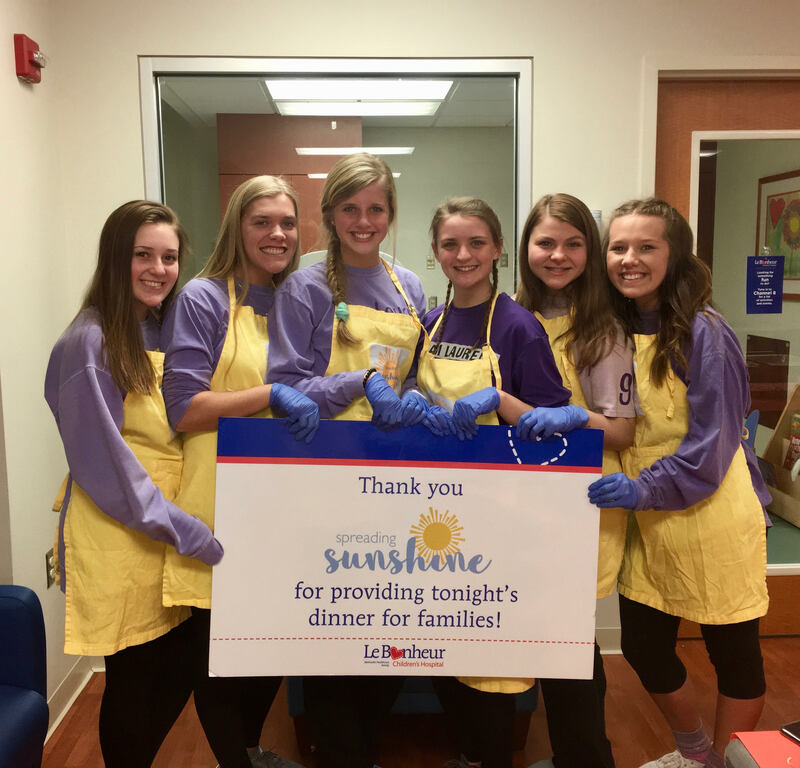 Recently, we received the sweetest note from Amy, a mom who was served breakfast by Spreading Sunshine volunteers while her daughter was inpatient. “Hi, I wanted to say, ‘thank you’ for the pancake breakfast served at the FeDex Family House this week. I had the privilege of meeting one of your volunteers and we enjoyed a nice talk. 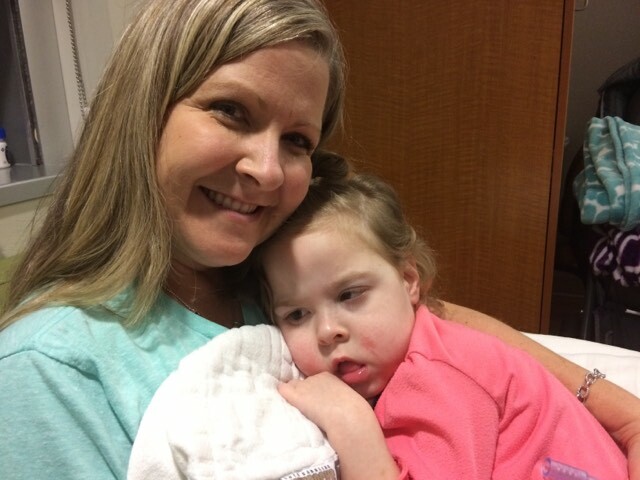 Our daughter, Carly, is inpatient right now at LeBonheur. We are from South Carolina and have been traveling to LeBonheur every few months for the last 5 years. I love what you do for so many through ‘Spreading Sunshine’. It’s always nice to connect with others walking a similar journey. 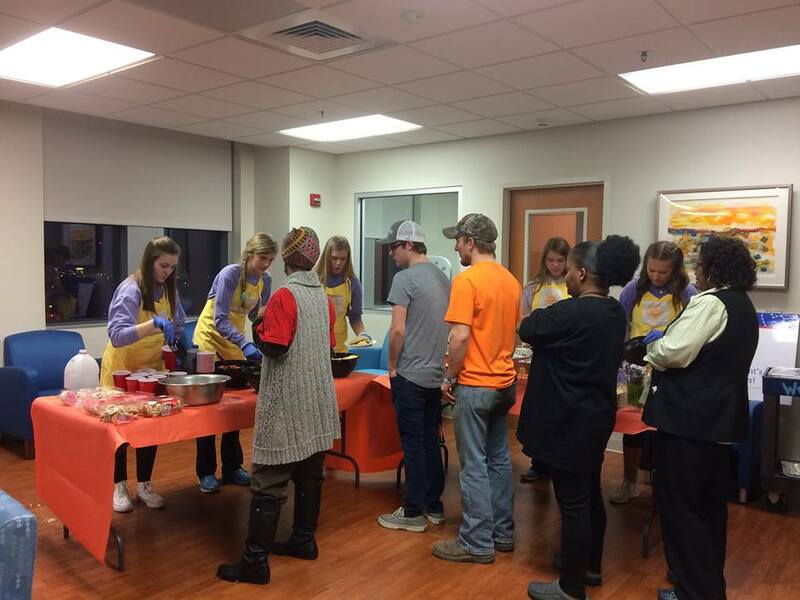 A few days after receiving Amy’s note we were able to serve dinner to her family at LeBonheur Children’s Hospital. A special thanks to our Links of Luv student team from Tipton Rosemark Academy for serving and to Moe’s Southwest Grill for sponsoring the meal. 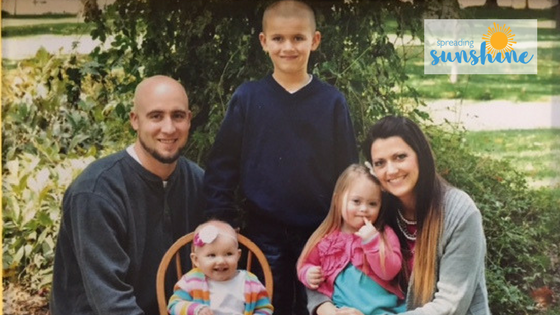 Spreading Sunshine is able to touch the lives of families like Carly’s because of the generosity of our donors and volunteers. 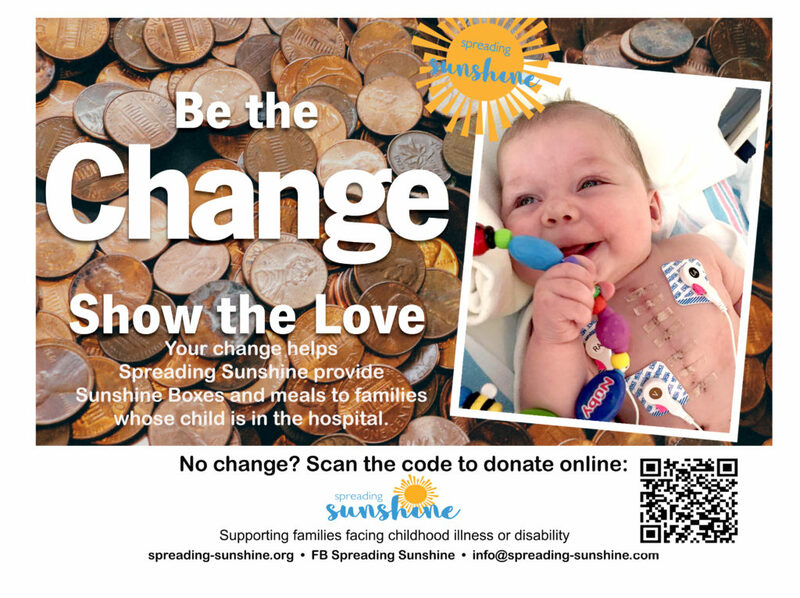 We are currently hosting a Virtual Change Drive to collect funds for our ministry to send Sunshine Boxes and serve meals to parents whose child is in the hospital. Our Change Drive is an easy way for anyone to get involved. Over the next few weeks, join us in collecting change! You can start by collecting your own change and by sending your children on a treasure hunt around the house to look for change – in your couch cushions, in your car, your laundry room. Put a change jar at your office, classroom, local shop and see how much change you can collect. Make sure to let your friends and family know what you are doing, they might have some change to contribute as well. Then, the week of March 9th, make a donation to Spreading Sunshine in the amount of the change you’ve collected. So easy! Register for our Virtual Change Drive and we’ll send you a little more information and a printable image you can use for your collection jar. We hope to have 500 people from all over the country join us! Last week, we focused on the fact that love is not simply an emotion or an action, but love is a person. God is love. 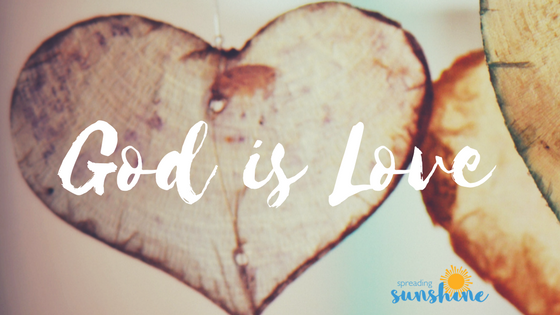 In our passage from Lamentations 3, Jeremiah reveals two beautiful realities that help us understand how God is love. First, God’s mercies never end, and they are new every morning. Mercy can be described in many ways, but my favorite is “unnecessary kindness.” God expresses his steadfast and unending love by being kind to the extent that it is unnecessary. There is no need for something that is unnecessary; in a sense, it is not appropriate. God’s kindness is inappropriate in that not only do we not deserve it, but we also deserve the opposite of His kindness: His wrath. But, because God is love, He chooses to bless us, to love us, and to express constant kindness toward us. The second reality that Jeremiah points out is God’s great faithfulness. If people are faithful, they are predictable; you can trust them. So, what does God’s daily mercy or kindness look like? Perhaps it’s an encouraging or enjoyable conversation with a friend. Maybe your child hits or comes closer to hitting a milestone that you’ve been working toward for months. Or, maybe you were able to exercise patience and endurance as you continue to work toward an unmet goal. I’m not sure exactly what God’s love will look like today, but if we look closely enough at the events of our day to day life, we just might see it. Louis is the husband of Abigail (Founder of Spreading Sunshine) and the father of Lily and David. He is a counselor at Northeast Mississippi Community College, the associate pastor at Ripley Primitive Baptist Church, and an ACBC certified biblical counselor (Association of Certified Biblical Counseling). He is also the president of Christian Activities, Inc.
Kristina, one of our volunteers, gives hope and spreads sunshine to our families through writing encouraging notes and cards. Though, she wasn’t always the one spreading sunshine. At one time, she was the one who needed the hope that a card or letter can bring. Enjoy getting to know Kristina as she shares her story. 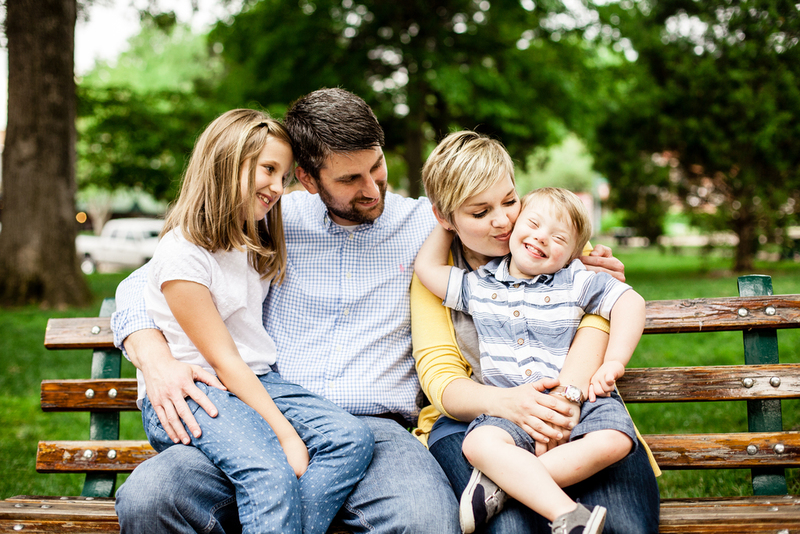 “It would have been so nice to have a ministry like Spreading Sunshine when my middle child, who has Down Syndrome, was little. At 6 months of age she was diagnosed with Type 1 Diabetes and almost died. She was in the hospital every 3 months for a period of 2 years. During tests, procedures, prods and pokes, I had to watch or help hold her down while she looked at me with intense pain in her eyes. At times it was just too hard to bear and I really struggled emotionally. It was hard on our family. My son, who was four years old at the time, started acting out due to his whole world crashing down. He struggled with our family being apart so often and seeing his baby sister being taken in ambulances with Mommy. He was so scared… he would have nightmares that his sister died. He was anxious anytime she got sick and would cry, asking if she would have to go to the hospital. It was even harder when my youngest daughter was born and my husband had to take time off of work to stay in the hospital with our oldest daughter, because I was nursing. But we made it through. Thankfully, she’s been much healthier and my son is less anxious. As I look back, I can trace all of God’s kisses and fingerprints on our season of storm. I encourage you to read scripture daily, lament to the Lord, and listen to uplifting music. He wants us to share our honest feelings with Him. Let Him be your shelter and anchor. These are all things I do daily now and have been a huge help to me. During the month of February, Spreading Sunshine is hosting a “Virtual Change Drive” to raise money to help fund our ministry to families facing childhood illness or disability. We want families to know they are loved and are not alone. You can help!! As we prepare to celebrate Valentine’s Day, the subject of love will be on a lot of people’s minds. The stores are filled with heart-shaped candies, cards and balloons to help us express our love and affection to someone special. 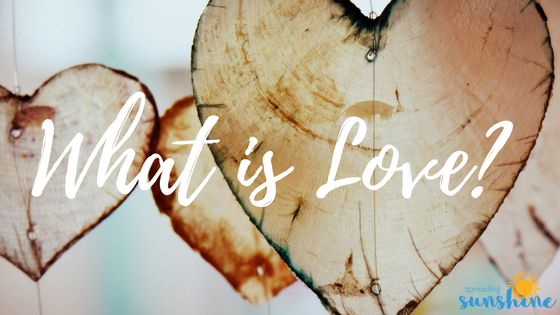 With the myriad of options we have to express our love, I think it’s worth asking ourselves: what exactly is love? When we look to the Bible, particularly at a passage like 1 John 4:16b, we discover that love is not simply a gesture or an expression, but love is a person. God is love. Love is not simply something that God does, but it is what he is. In order to illustrate this reality, let’s think about a phrase that we’ve all probably thought and said: “I’m only human.” What comes to mind when you read that phrase? Do you picture a man or woman who has completed a great accomplishment or willingly endured a great sacrifice? Probably not. We use this phrase to acknowledge and even justify the imperfections of our thoughts, attitudes, and behaviors. It’s like saying, “Do you really expect me to be perfect?” Being human is not what we do, it is who we are. If you’ve lived long enough, you’ve come to realize that to be human is to be imperfect. So, what does it mean for God to be God? It means that God is perfect love. Ephesians 2:4 speaks of the great love with which God loves his people. He expresses his love by being unnecessarily kind (merciful). Love is the motivating influence behind God’s kindness to His people. God uses His people to show love to others. We are thankful to the many volunteers of Spreading Sunshine who help show God’s love to families whose child face medical challenges. Would you like to receive monthly updates from Spreading Sunshine?